Attention citizen scientists!!! 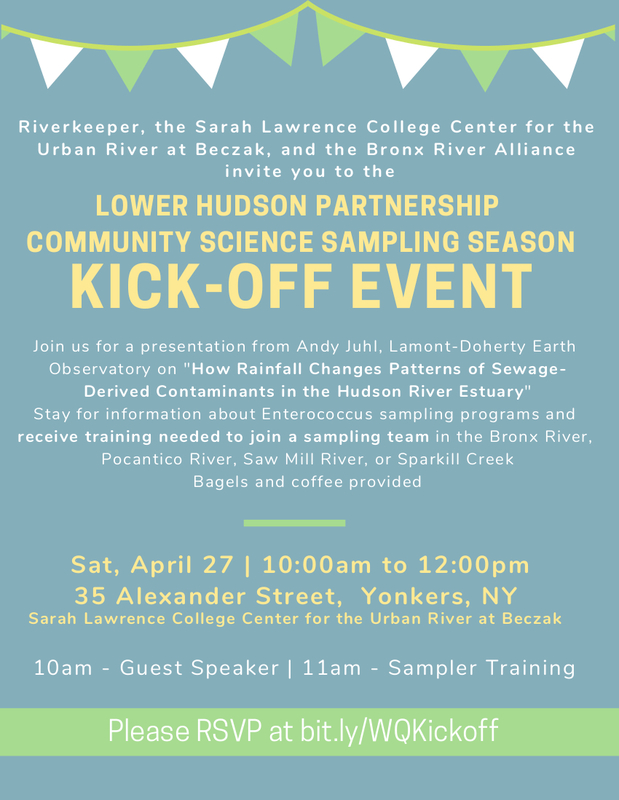 Join us on April 27th for the Lower Hudson Partnership Community Science Sampling Season Kick-Off Event. Listen to a presentation from Andy Juhl of the Lamont-Doherty Earth Observatory, and find out how you can join our sampling team. See flyer for more details. Please RSVP at bit.ly/WQKickoff. 2019 Spring Family Fun Day! Fish Facts - Striped Bass!